Changes to certifications and evolving technologies are helping to not only significantly lighten workloads in the cockpit but improve flight safety in general. As a general aviation pilot, I’m taking my flight training seriously because it only improves my safety margins. 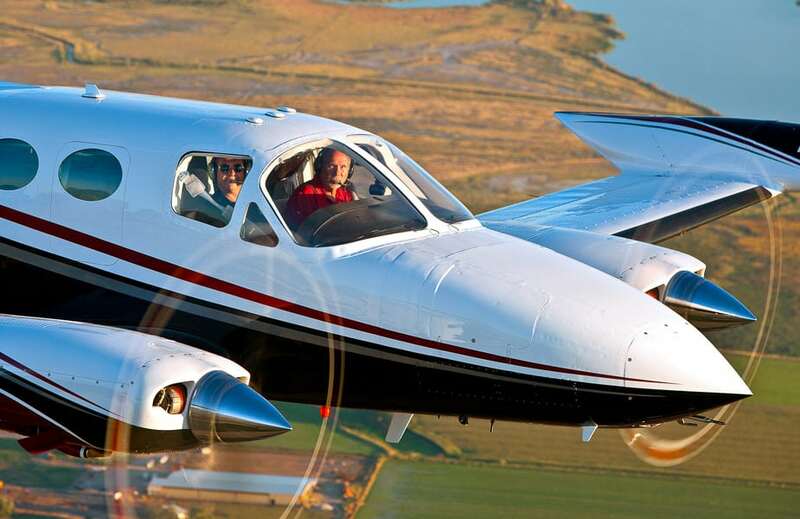 It seems as if general aviation’s on the decline – or at the very least taking serious potshots if you take to heart the doomsayers’ predictions. 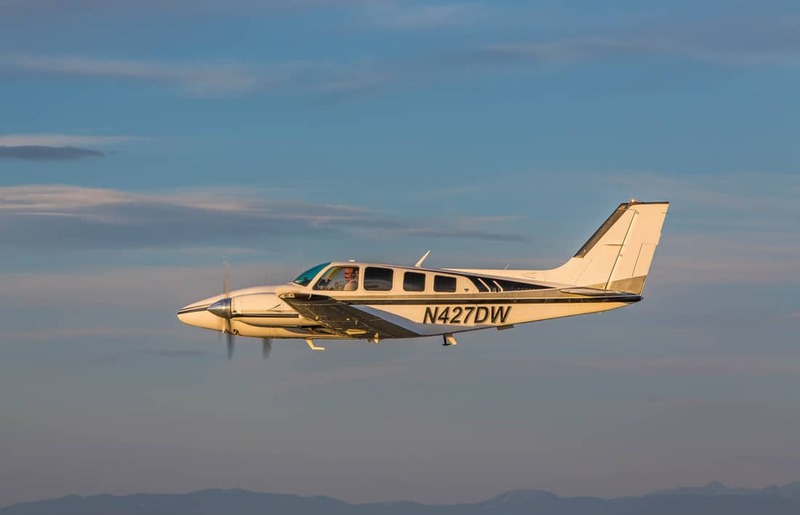 According to GAMA – the General Aviation Manufacturers Association – the average age for all pilots in the U.S. is 44.7,1 and many younger people aren’t interested in learning to fly. They’d rather Tweet, Skype or play Madden 2017. More people want to fly drones than GA airplanes. The FAA estimates the number of certified commercial UAS (Unmanned Aircraft Systems) operators will easily top 600,000 within the year2. But I think it’s the perfect time to be a general aviation pilot. Here’s why. I just turned 60 late this past May and I’m wrapping up an Instrument Rating. I’m hoping to be ready for my check ride sometime mid-October. After I complete the Instrument I’m going for a Commercial Rating and I’m hoping to finish it by year’s end. I’ll keep flying (and learning) as long as I’m able and I’m counting on technology and looser regulations. Getting commercially rated shouldn’t take as long (or cost as much!) as it did trying to earn what I call ‘Aviation’s Ph.D.’ Back pay, family obligations and spousal goodwill only go so far. I’m grateful FAA Class medical rules are evolving to the point where I’ll still have options to help keep flying a while longer. We’re seeing changes to certifications for LSA (Light Sport Aircraft) and evolving technologies are helping to significantly lighten workloads in the cockpit. NextGen, ForeFlight, GA Angle of Attack indicators, affordable GA synthetic vision, and fairly realistic PC-driven Redbird flight simulations are all becoming commonplace and having an impact in the GA cockpit and flight safety in general. There will be many aspects to GA flying yet to be investigated and experienced in order to better help understand and accept limitations. Flying IS inherently risky but it seems thorough preparation, proper training, and helpful technologies are all drawing down the potential for catastrophic risk. Overall fatal GA accidents declined last year3 and regulatory changes this year might be a milestone for GA because the FAA is slated to complete far-reaching “changes in how we certify both pilots and airplanes,“4 according to Jens Hennig, GAMA VP of Operations. I’m fairly hopeful GA fatalities will continue to drop as we modernize aviation training, update avionics technologies in Light Sport Aircraft and general aviation and continue to revamp FAA regulations. Flying VFR (Visual Flight Rules) is rewarding but somewhat limiting. Of course, nothing beats meticulous pre-flight planning and keeping a keen eye on weather developments, since these become critically important when flying IFR, so I’m thankful evolving GA technologies keep providing useful cockpit tools and computer apps to safely guide me along the way and help bring me back home. But I’m not saying we should blissfully ignore human factors and blindly rely on technology or revamped regulations to get us through. As pilots, it’s up to us to prepare and anticipate as much as humanly possible. There are plenty of training resources and organizations that are available for you to take advantage of. As a member of the United States Coast Guard Auxiliary Aviation (USCG AUX AV) I also fly environmental and surveillance flights over the Ohio River between Louisville and Cincinnati. I initially joined the USCG AUX AV to build up flight time but in doing so I’ve learned and adopted military flight procedures that lend themselves nicely to general aviation flight safety. The USCG AUX AV is a civilian volunteer branch of the USCG but members become active duty USCG for the duration of any mission. I’m Aircrew qualified and we’ll routinely fly over the river to monitor commercial barge traffic and factories along the Ohio to make sure pollutants aren’t discharged directly into the waterway. There are locks and dams along the entire length of the Ohio River and these allow vessels to transit. In these post 9/11 days it’s a good idea to keep watchful eyes on this vital inland waterway, which at 981 miles is the largest tributary (by volume) of the Mississippi River. Before we set out on any mission we do operational risk assessments using what’s called a GAR Model. We assign a risk color code (Green, Amber or Red) and numbers to six elements (Supervision, Planning, Team Selection, Team Fitness, Environment, and Event/Evolution Complexity.) Mission risk is visualized using the colors of a traffic light. If the total risk value falls ‘in the green,’ the risk is low. If the total risk value is ‘amber,’ risk is moderate, we reconsider procedures and steps to minimize risk and dial it back ‘in the green’. If it falls ‘in the red,’ we don’t chance it. We’ll either cancel the mission, change measures to reduce the risk, or let active duty Guardians handle it. I apply these CRM (Cockpit Resource Management) procedures to my GA flying and I think they help me become a safer pilot. In order to retain my Aircrew qualification, I’m also required to attend an annual USCG AUX AV Safety Seminar in Mobile, AL. As part of this four-day seminar, we’re updated on active duty USCG Aviation training, missions, findings, plans and we sit through aviation safety lectures, weather briefings, national airspace reviews and CRM case studies. The author during the swim test. The highlight of the Safety Seminar is a Water Survival and Egress Test. We swim 75 yards (any style allowed) wearing a flight suit, boots, and an uninflated PFD (Personal Flotation Device) with a 7-lb weight in a back pocket of the PFD. 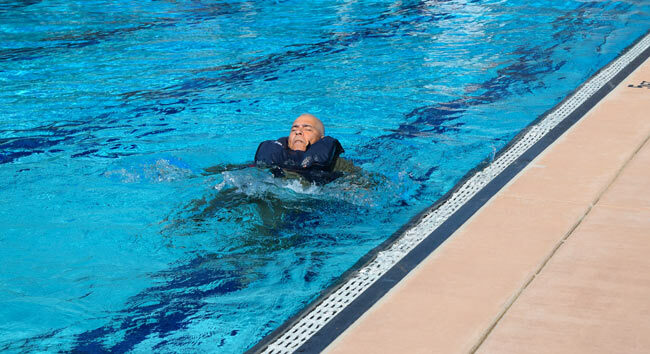 Finish part one of the test by bobbing in the deep end of the pool to manually inflate your PFD. Then it’s off to the SWET (Shallow Water Egress Training) chair5, an updated version of the ‘Dilbert Dunker’6 used in the 1982 movie An Officer And a Gentleman. 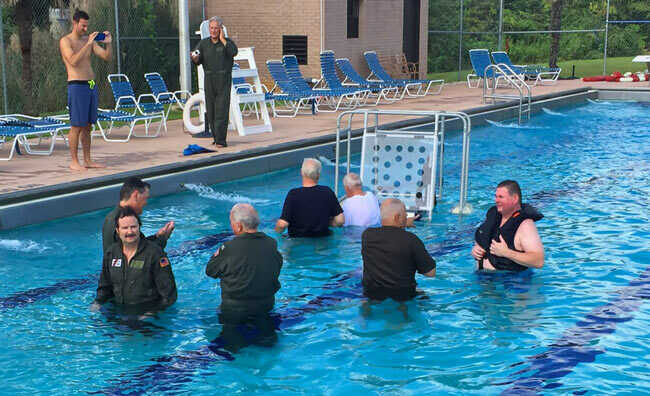 Wearing a flight suit and helmet, you sit in a chair replicating an aircraft cockpit, fasten a five-point harness and you’re flipped upside down in the pool. Once the SWET chair settles to the bottom you punch out the Plexiglas side panels, unfasten your harness, disconnect the helmet radio chord and swim out of the chair and up to the surface – all under the watchful eyes of CG Rescue Swimmers. The third and last part of the Water Survival and Egress Test is the easiest – hauling yourself out of the water and into a life raft. 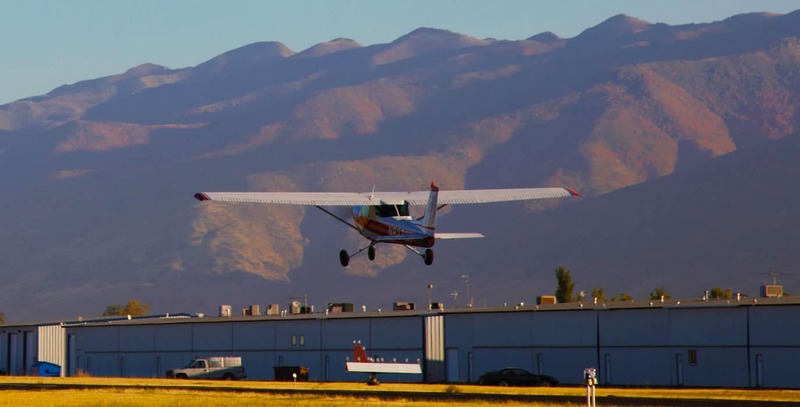 All three survival exercises can be of tremendous benefit to a general aviation pilot and all pilots should go through these at least once a year. After I’ve earned my Instrument ticket I’m signing up to attend a one-day training seminar offered in Oklahoma City by the FAA’s Civil Aerospace Medical Institute (CAMI) to find my personal high altitude limitations in a hypobaric (altitude) chamber. The course also offers demonstrations of rapid decompression and hypoxia. No two pilots react the same way to the insidious effects of oxygen starvation, so it’s an eye-opening experience finding out what your high altitude reactions are before you find out the hard way while aloft. The FAA course also has spin (spatial disorientation) demonstrators and SWET chairs. When I began my IFR training three years ago I also made sure to join the Louisville chapter of EAA’s IMC Club. Great, challenging IFR scenarios for some serious ‘chair flying’ with pilots spanning all ranges of experience, from low-timers about to make their first cross-country solos to airline pilots and military pilots with thousands of hours’ worth of flight time in their logbooks. I don’t have the expertise or impressive flight hours, so I’ve decided to make up that difference by embracing any training opportunities available to me. UAS testing and certification is easier and quicker if you already have a pilot’s license. Take an online FAA test, pass it and you’ll have a Part 107 UAS Certificate allowing you to legally fly your drone (you’ll still need to register it.) There are still many challenges to sharing mutual airspace between UAS and manned aircraft, but I’d also like to think drone flying and usage (however they eventually pan out) could generate interest in the next logical step – learning to fly an aircraft. An increasing number of manned aircraft pilots of all ages are showing interest in exploring potential UAS applications and job opportunities as these technologies mature. Even my employer (UPS) is getting involved – it’s partnered with robotics firm Zipline to provide medical product-delivering drones in Rwanda7. Curiosity and desire are powerful motivators. The practicality of applied flight in order to learn its theorems, enjoy its capabilities and safeguard against potentially deadly limitations continues to challenge me to never stop improving on what I’ve learned so far. It’s been a long road – I’ve wanted to fly since I was a child growing up in the Space Race days of the 1960s. I didn’t earn my Private Pilot’s license until 2000. It’s already paid off nice dividends. I’m not necessarily talking financial rewards or prestige acquired by earning a left-hand seat in an A380 for an international carrier. I recognize my time for such dreams is long gone and better left to younger pilots. But there’s nothing against ‘blooming where you’re planted’ by recognizing positives and advantages that are attainable and available now to stay current and stay sharp. I’m taking my flight training as seriously as I can because that only improves my safety margins. It’s also provided unexpected surprises. Being a general aviation pilot makes it possible to show up for training or a meeting and (weather permitting) still get home to loved ones in time for supper and bedtime. This ‘hobby’ provides unintended healthcare savings for our family too. I work as an Aircraft Maintenance Specialist for UPS Airlines. I’m a tech writer, checking and assisting colleagues updating wiring diagrams and schematics, and reviewing and revising Illustrated Parts Catalogs and Maintenance manuals for our B767 and B757 aircraft in the UPS fleet. It’s a great job working alongside a wonderful team of individuals. When my family and I moved to Louisville in November 1998, I applied to work for Big Brown because it has a reputation as one of the more stable and important companies in the Ohio Valley region. I was rejected several times for interviews – until I finished my PPL in 2000. I kept busy working several short-term tech writing contracts after I earned my pilot’s license, so I didn’t apply again until 2005. This time I garnered an interview and got the job. I’m convinced my pilot’s license was a key factor in getting UPS Human Resources to notice me. I have great medical benefits working for UPS Airlines but initially I didn’t sign up for them my first five or six years’ employment. Back then my wife’s medical plan was adequate. She worked in-house for the area’s electric utility and later for a regional law firm. All was fine until several law partners at her firm died from unexpected illnesses. One partner passed away from cancer of the heart, the other two from leukemia and a stroke (respectively), thus driving her premiums sky high. There’s no denying the inherent desire to fly is deeply ingrained and evident since our ancestors first roamed the Earth and looked skyward. Compared to the graceful, elegant soaring of birds we humans transit rather clumsily and remain Earthbound by our physical capabilities. It’s taken us several centuries to study, comprehend, reason, develop and finally build conveyances allowing us the freedom to fly. From Hero of Alexandria demonstrating steam propulsion to Leonardo Da Vinci’s mechanical drawings, to the Montgolfier brothers’ balloons over France to Otto Lilienthal’s gliding and the Wright Brothers’ powered flyer, to the calculations in The Theory of Flight by Richard Von Mises to Wernher Von Braun’s rocket dreams and beyond, we have finally conquered gravity’s pull – with eye-opening and unforgiving caveats, of course. Understanding, training and equipping ourselves to always respect these unforgiving caveats keep us sharp, alert and safe. 7 – UPS ships life-saving drones to Africa, UPS Launch, Vol 8 No 11, 9/6/16. 8 – UnitedHealthcareAARP Medicare Supplemental TV commercial with actress Lynda Vega.